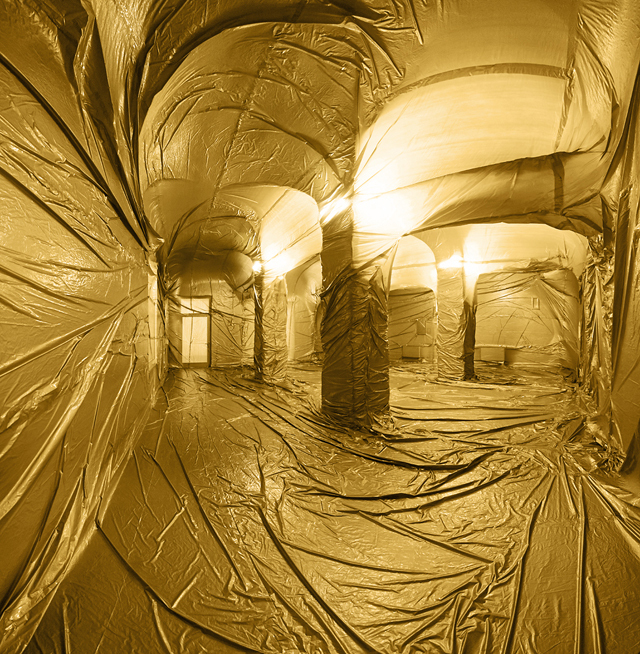 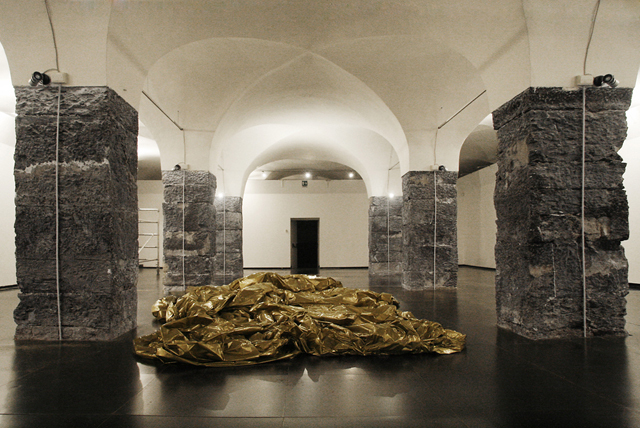 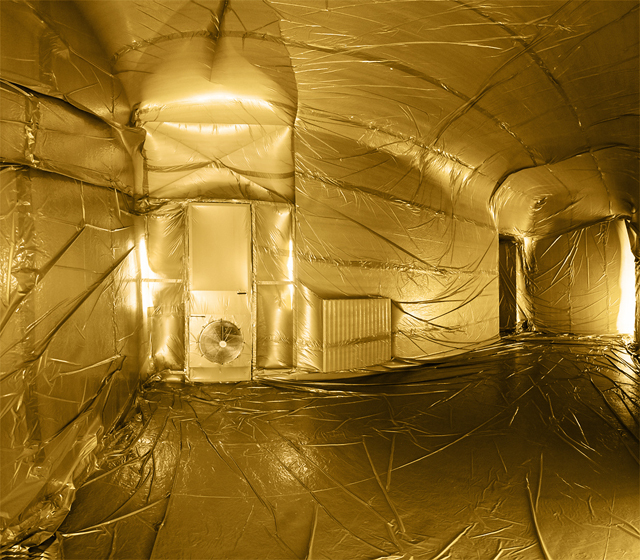 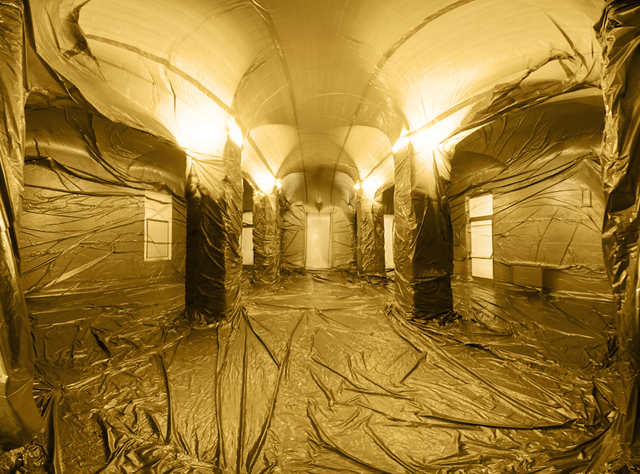 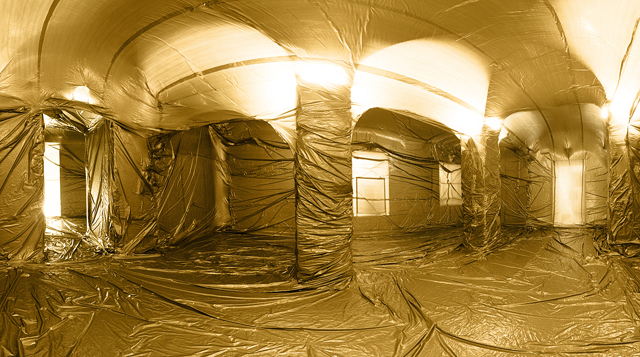 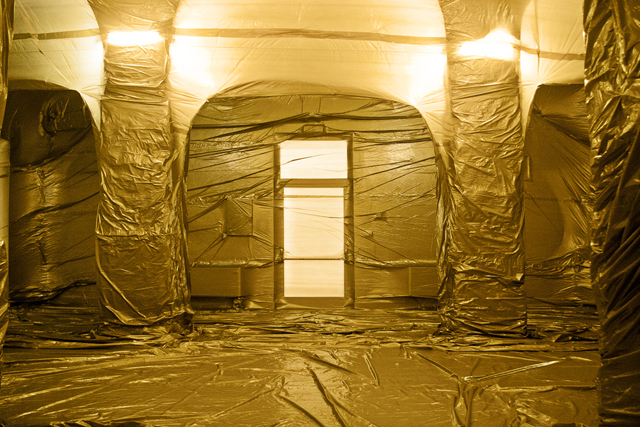 This golden installation took place last September at Palazzo Ducale, Genova, Italy. 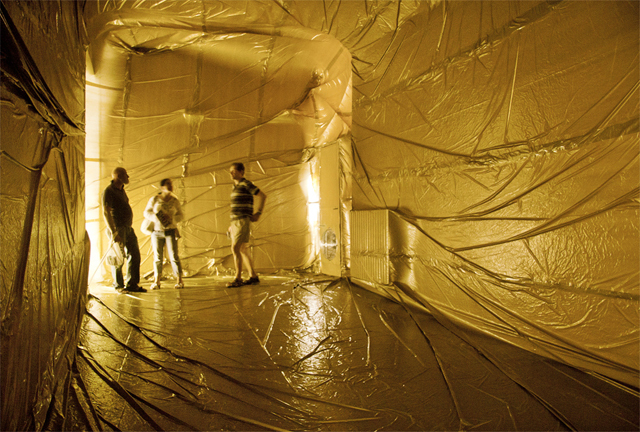 The dimensions of; 10m x 3m x 4 m ( x 3 balloons) and one more 9m x 3m x 4m. 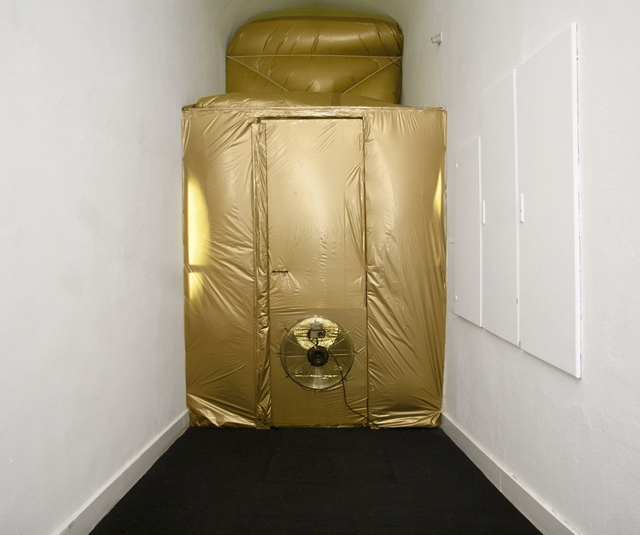 More installations and different colors and places on their website.